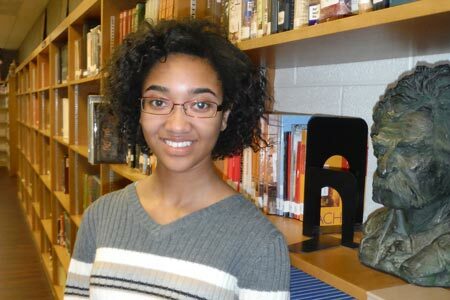 Congratulations go to Antonia Adams of Strom Thurmond High School who won 1st place at the state level for the Veterans of Foreign Wars Voice of Democracy Scholarship contest. She will be competing at the national level for a chance to win a $30,000 scholarship award. The 2013-2014 essay theme was “Why I’m Optimistic About our Nation’s Future.” The 2014-2015 scholarship entry form will be available around March 1, 2014. In a brief interview with Antonia this week, she spoke of this opportunity in these words: “I feel very blessed to have this opportunity to represent our veterans and South Carolina in this competition.” She will be in Washington, D. C., for the nationals the first week in March. Her parents, James and Elnora Adams, will be able to join her for a banquet at the Chrystal Palace on March 3. To show the stringent parameters guiding this competition, this newspaper was told that last year when Antonia was in the contest she had a great speech but she ran over the time limit by 2 seconds and this counted against her. But, it did not hold her back from competing this year, and she won! She is looking forward to presenting her winning speech to the VFW in Myrtle Beach in February. The local VFW sponsoring Antonia is led by Commander Dwight Talbert with Quartermaster Bennie Culbreath assisting at the helm.